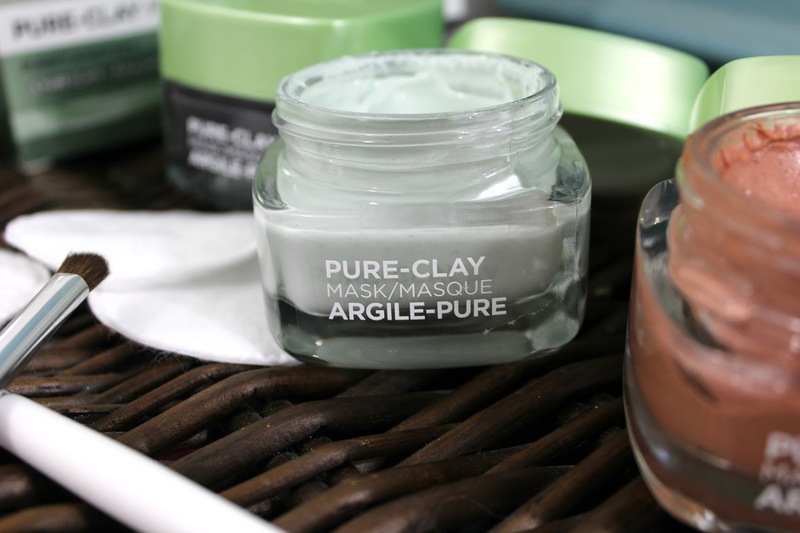 New Product Alert: 3 New Clay Masks! You guys know how much I love masks. 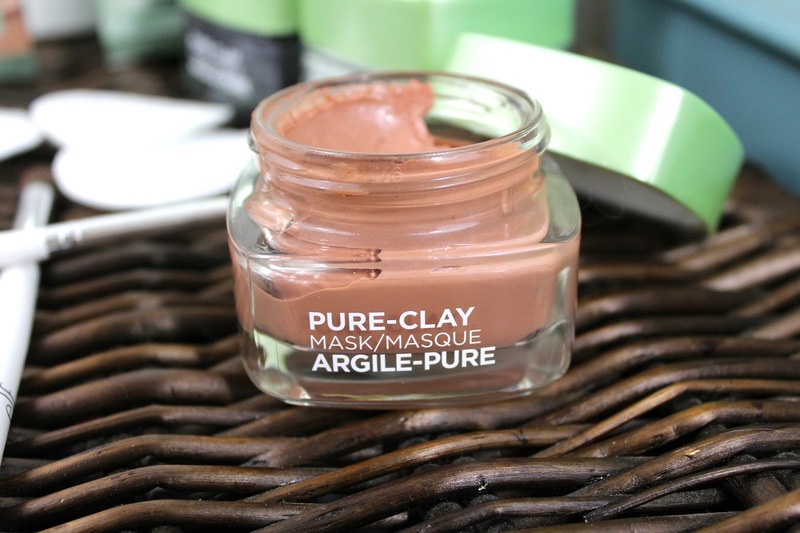 Well, when I learned that Loreal was coming out with clay masks and that I was going to get to try them, I was beyond excited! To be honest, I've never used Loreal skincare before so I went into this with an unbiased view of Loreal skincare products. 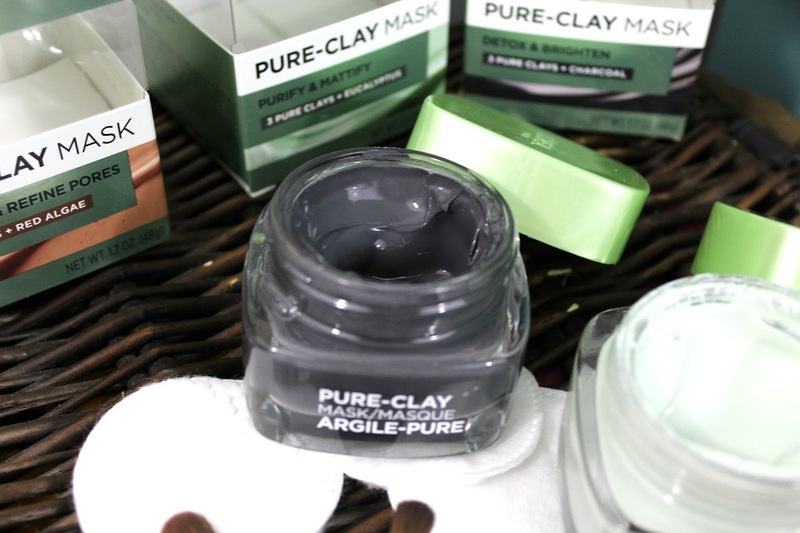 Loreal Pure-Clay Masks: The three clay masks I got to try were the Eucalyptus, Charcoal, and Red Algae masks. 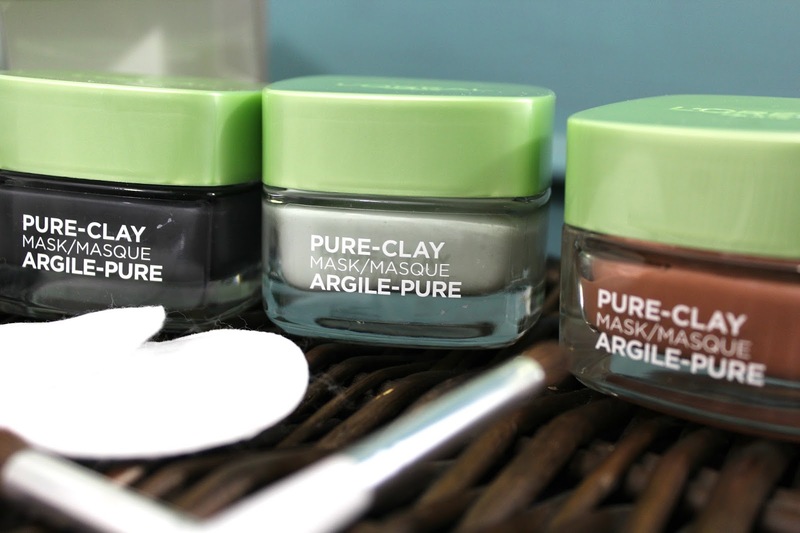 All three products are made with a powerful blend of 3 pure clays and enhanced with natural source ingredients. This was the first mask I used and I have to say, my I wasn't disappointed. 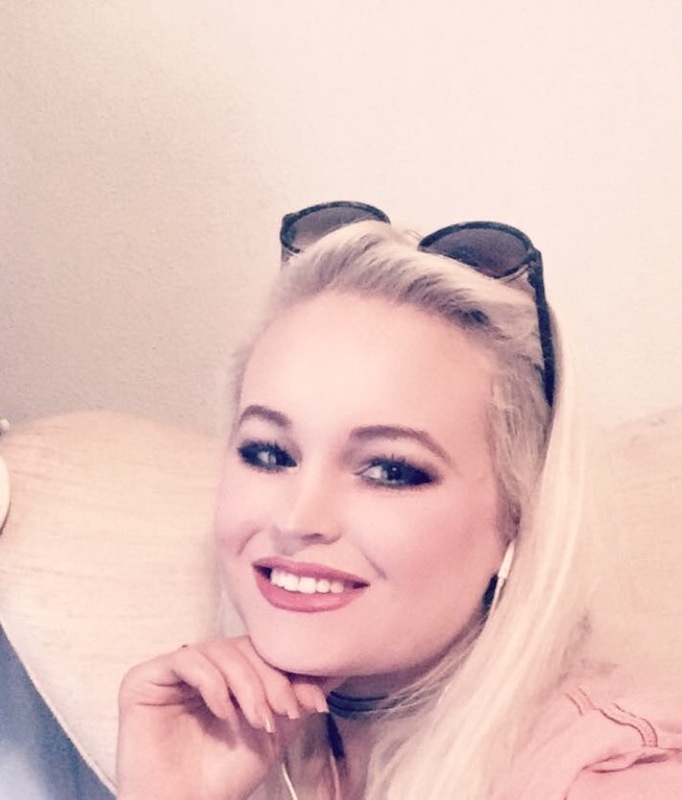 As I was wearing the mask I could feel it tightening my skin and the next day I felt I could see a small improvement in my pores and I wasn't as oily. Not too bad Loreal! Why is this mask right for me? I used this mask on the second try (although I did space out trying the masks at least a week between) and since I have used charcoal products before, I kind of knew what to expect. Definitely made my skin look better and gave my skin that "glow". Another great one! This was the last mask that I tried and I'm still kind of on the fence about it. While it was a great exfoliator and made my pores shrink a little bit, it did unfortunately make my skin breakout. To be fair, I have really sensitive skin so anytime I use a product my skin isn't used to my skin freaks out. Since I'm still on the fence about this one, I'm going to give it a solid B-. Now that you've heard what I think about these new masks from Loreal, I want you to tell me below.... Are you willing to try them out and if so which one? Don't forget to visit me on all my socials (icons at the top of my blog) and you can also follow me on snapchat :echanningblog.